Cangshan is passionately focused on creating and offering products that perform flawlessly while speaking to the design conversations that are relevant to today's creative communities. The N1 Series is a story of balance and precision. 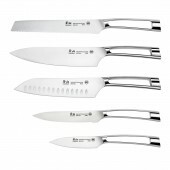 A minimal, sleek hollow-handle design ensure these knives are well balanced and naturally fit a chef's grip. 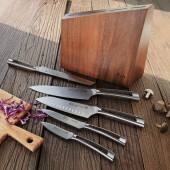 Each knife is forged from high-alloy steel that is both wear and stain resistant with high edge retention, but also hard and strong enough for the fine edged blades to feature a keen Asian style edge. 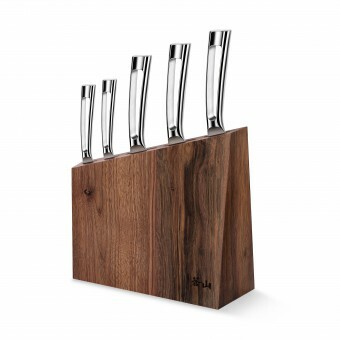 All the knives are securely housed in a wooden knife block that is designed to emphasize the lines and silhouette of the N1 Series. The quality and craftsmanship of the knives ensure they precisely and effectively perform their cutting functions giving the user a responsive and refined tactile experience that enhances and augments their skills and process. Blades are forged from German sourced [Solingen] high alloy steel [X50CrMoV15] and heat treated and hardened to 58 +-2 on the Rockwell Hardness Scale giving the steel excellent wear and stain resistance and edge retention. 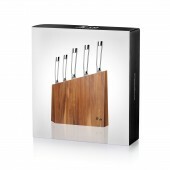 The wood knife block is Acacia wood [1700 Janka Hardness] known for its water resistance and high durability. Patent Pending. EFS ID#23376398. Application #29538208. 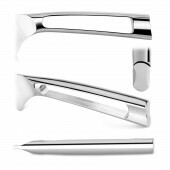 N1 Series Knives by Cangshan is a Nominee in Bakeware, Tableware, Drinkware and Cookware Design Category. · The profile and other works by Cangshan is also kept secret. This information will also be available later. N1 Series Knives by Cangshan is Winner in Bakeware, Tableware, Drinkware and Cookware Design Category, 2016 - 2017. · Read the interview with designer Cangshan for design N1 Series here. 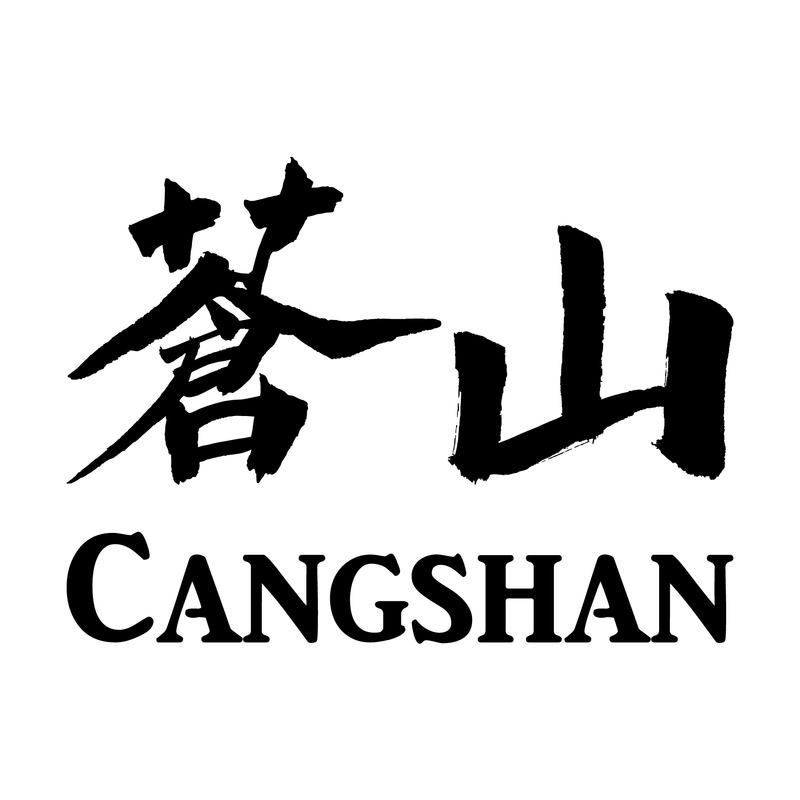 · Press Members: Login or Register to request an exclusive interview with Cangshan. · Click here to view the profile and other works by Cangshan. Did you like Cangshan's Kitchenware Design? Did you like N1 Series Knives? Help us create a global awareness for good kitchenware design worldwide. Show your support for Cangshan, the creator of great kitchenware design by gifting them a nomination ticket so that we could promote more of their great kitchenware designs.